Reebok is not just hot kicks and great performance sneakers. 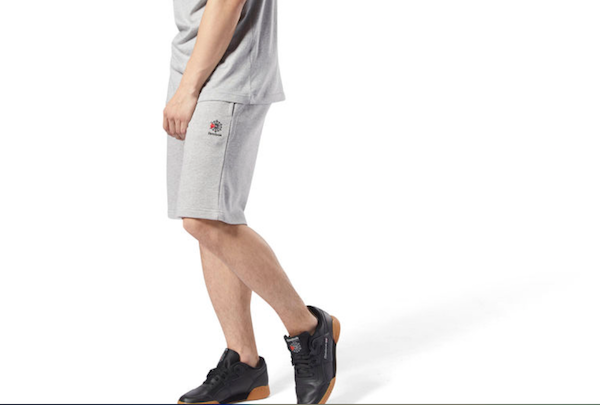 Reebok also has a bunch of great gear that you can rock in the gym or when you are hanging with your friends. They have a few different lines of clothing that you can add to your wardrobe and even match them up with your favorite Reebok kicks. So as Fall approaches here are a few items that you should pick up and add a fresh look to your wardrobe. Plus these clothes won’t break the bank. Check this one off your must-have list. 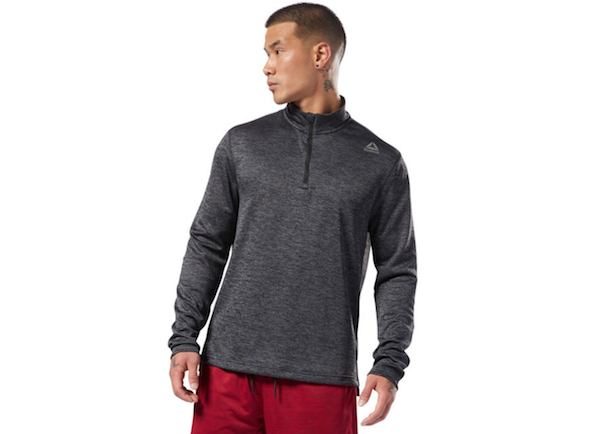 This men’s performance-primed pullover is versatile enough to help warm up a chilly workout or add comfort to a lazy Saturday. Double knit with Speedwick fabric technology fabric to wick moisture, flatlock seams and zipper details help keep the warm feel chafe-free. 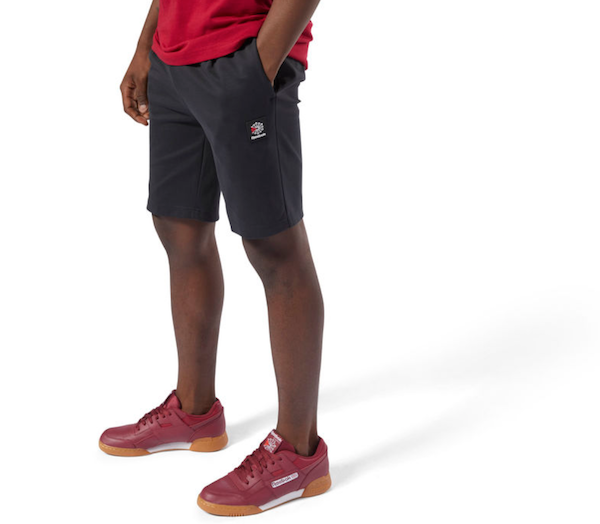 Grab these men’s short for anytime comfort. French terry fabric offers soft comfort for rest days, and an inseam gusset adds room and mobility. Plus, the ribbed waistband assists the fit. When the weather heats up, so does your style. Opt for throwback appeal in your day-to-day with these men’s classic shorts. Smooth, trend-right ponte fabric ups the comfort factor, while a pleated waistband streamlines the look. This Labor Day weekend what are you bringing to the party? We at MANjr have some great ideas that your guests will love to try out. There is something for everybody. Please remember to enjoy responsibly! Which one will you make this weekend? Garnish with pomegranate seeds. Add all ingredients to a shaker filled with ice. Shake vigorously for 10 seconds. Pour over ice into a rocks glass. Muddle blueberries and basil with Tres Agaves Tequila. Add remaining ingredients. Shake with ice and serve over fresh ice (Do not strain). Garnish with basil leaf float. Shake espresso or coffee-infused Sugar Island Spiced Rum and lime juice over ice and strain into a Collins glass. Top with ginger beer. Garnish with a lime wheel and candied ginger. Shake coconut rum, coco lopez and lime juice; pour over crushed ice and top with club soda. Garnish with shaved coconut and lime twist in Collins glass. 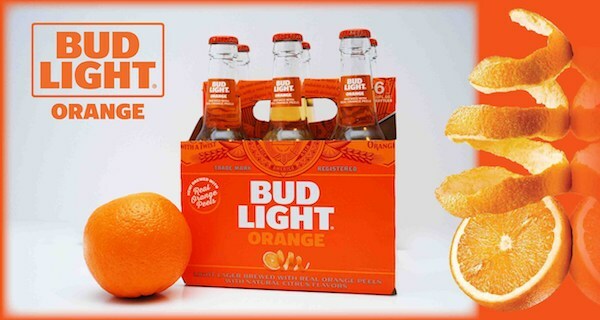 This is your last chance to pick up Bud Light Orange until next summer. Labor Day weekend is the perfect time to say goodbye to this Bud Light variant. Bud Light Orange launched this past April and dominated summer ‘18, enhancing the summer drinking experience. While it had a great run, unfortunately it’s a limited-time offering and will be off shelves by Labor Day until it comes back next summer. Check out one of the funny commercials from this summer! 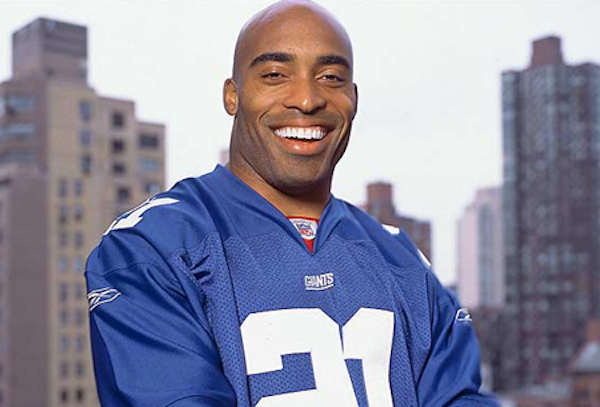 Tiki Barber made a name for himself in the NFL playing for the New York Giants. He made it the Pro Bowl three times as a running back during his ten year career with the Giants. His success on the field made him be part of the 10,000 rushing yards club as well as being inducted to the New York Giants Ring of Honor. Thanks to Powerade I was able to chat with Tiki about this upcoming NFL season, who had the best trash talk during his playing days and the evolution of the running back. Plus we got to chat about these hilarious new cards called Sympathy Cards. 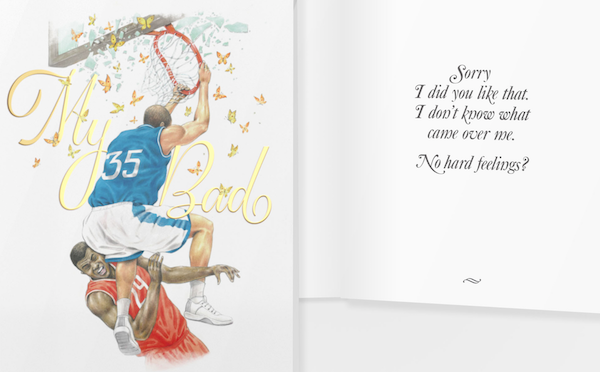 Powerade Sympathy Cards will be a high-quality greeting card with artistic drawings of athletes, highlight various iconic sports moments with witty apologies to competitors. Fans will have the ability to choose their own physical card and recipient, customize it and delivered in the mail via sorry.POWERADE.com. The promotion runs through the end of September. There will be a variety of ten cards across three sports and will have both male and female athletes, that can be sent digitally or through the mail. These cards are legit. Make sure you get one sent out today! Follow Tiki on Twitter at @TikiBarber and go to sorry.powerade.com/ to send out a card to friends. Click HERE to listen to my interview with Tiki! Ryan Reynolds was made to play the role of Deadpool. Whoever leaked the first footage of Deadpool way back when (wink-wink) pulled off a genius move. Deadpool made us all laugh and feel funny in all parts of our body. It was a different kind of superhero movie. 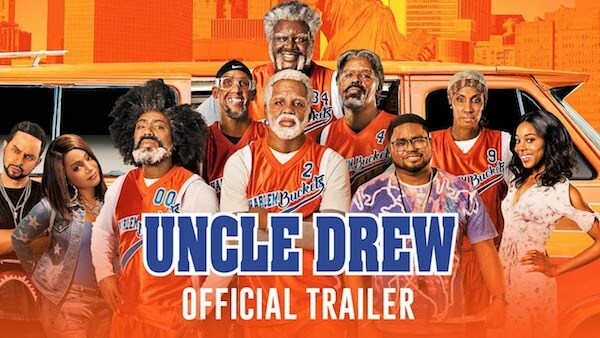 I couldn’t wait to see the sequel and see all of the Easter Eggs in this film. The dialogue is fantastic and so is the action. If you don’t believe me, just read the “synopsis” of the film! 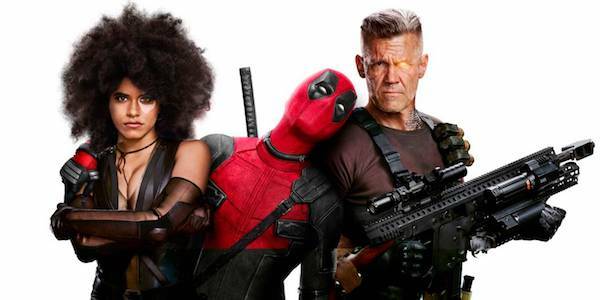 Deadpool 2 is a film you need to add to your collection. 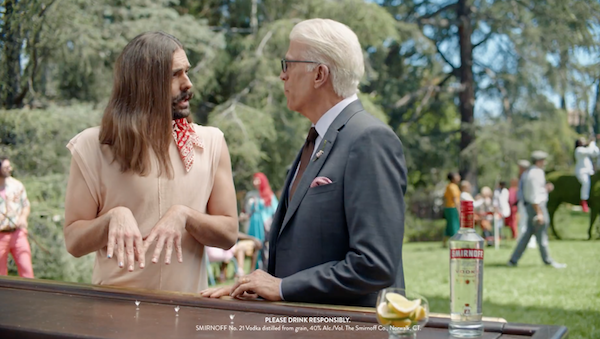 Smirnoff’s newest ad campaign called “Welcome to the Fun%” that stars Jonathan Van Ness, Nicole Byer and Laverne Cox alongside Ted Danson in hilarious short spots to tout the brand’s award-winning credentials, “Made in America” heritage, and encouragement of fun yet responsible drinking. The TV spots each depict different scenarios in which longtime Smirnoff partner Danson teams up with a fellow cast member to tout the brand’s award-winning credentials, “Made in America” heritage, and encouragement of fun yet responsible drinking, all ending with the tagline “Welcome to the Fun%.” The spots all share a humorous, playful attitude and give a nod to Smirnoff’s inclusive qualities. So, what is the Fun%? The Fun% is anyone and everyone who wants to have accessible, unpretentious fun. It is the dreamers, doers and shakers who want it all, but do not want to pay too much– and they shouldn’t! In a world where we are all more money conscious and the power of FOMO is reinforced by social media, the Fun% is redefining what it looks like to have a good time with their own personal brand of scrappy, resourceful creativity. The new Smirnoff campaign showcases this with a range of diverse cast members, in age, ethnicity, gender, sexual preference, and background, and all of whom embody the Fun% in their own, unique way. 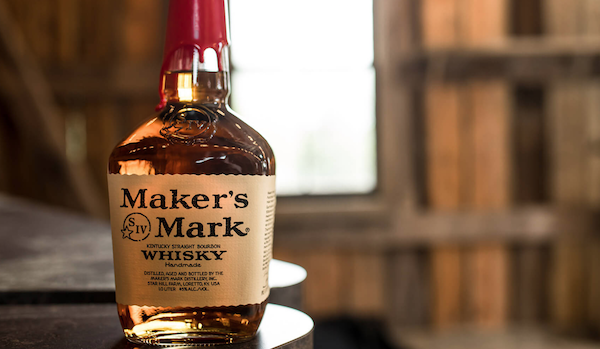 This week Budweiser and Jim Beam Bourbon released some every cool news. They unveiled their highly anticipated collaborative brew Budweiser Reserve Copper Lager. The new beer celebrates two all-American brands that survived Prohibition and have thrived in their respective businesses for a collective 365 years. The third installment in Budweiser’s Reserve Collection, Copper Lager, will be available nationwide through the holiday season. The third installment in Budweiser’s Reserve Collection, Copper Lager, will be available nationwide through the holiday season. Copper Lager is an American lager-style beer, brewed with two-row barley and aged on Jim Beam bourbon barrel staves. The charred American oak staves, which previously served as barrels aging Jim Beam for four years, create a toasted oak aroma, while the beer has a deliciously nutty taste with caramel rye and vanilla notes and the classically smooth Budweiser finish. The new specialty beer will be available in heritage glass bottles and on draught at bars across the country. This year marks the 85th anniversary of the Repeal of Prohibition and both brands share unique histories of surviving the 13 years in which America went dry. 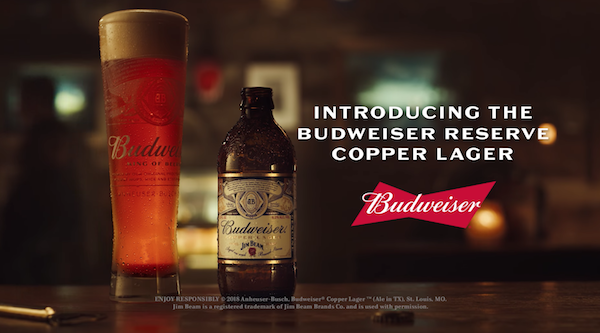 The partnership between Budweiser and Jim Beam began in April as a cross-merchandising program and now includes Copper Lager, a uniquely innovative beer combining the heritage, quality and passion from both companies. Tomorrow is National Rum Day. To celebrate the Captain is introducing Captain Morgan Apple Smash, a new party-starting shot that blends Caribbean rum with a burst of green-apple flavor. 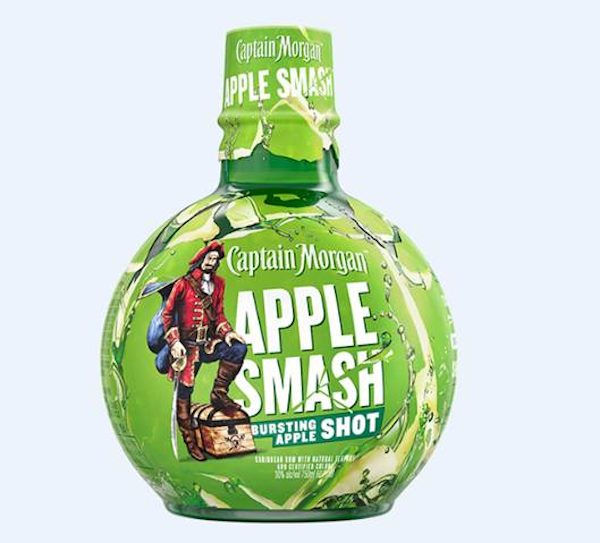 Apple Smash is delicious, ready-to-serve and the perfect standout to help you and your crew party #LikeACaptain! Though best enjoyed as a chilled shot, Captain Morgan Apple Smash can also be served in a number of cocktail recipes. Check out a few below. Not only does Apple Smash taste like an apple, it smells like one too! The Apple Smash packaging resembles an apple and emanates the aroma of tart green apple when you scratch the bottle. Apple Smash (60 proof, 30% ABV) has a suggested retail price of $15.99 for a 750 ml bottle. Muddle mint leaves in a highball glass. Add ice and stir. Ford’s Flat Rock Assembly Plant in Michigan. The first serialized Mustang (VIN 001) produced in 1964 was the same color and model with a three-speed automatic transmission and 164 horsepower V8.